A letter approving outside employment contracts for John Konkus — signed by an EPA ethics lawyer in August — was released Monday by Democrats on the House Energy and Commerce Committee. The ethics official noted that Konkus' outside contracts presented a "financial conflict of interest" and barred him from participating in matters at EPA that would have a "direct and predictable" financial benefit for his clients. Pruitt named Konkus, a Republican political consultant, to serve as the EPA's deputy associate administrator for public affairs. His duties have included signing off on hundreds of millions in federal grants. The letter gave Konkus approval to work for at least two clients. Those names were blacked out by the agency before a copy was provided to Congress, citing a privacy exemption more typically used to protect personnel records and medical files. The letter said Konkus was also expected to take on additional private clients, advising them about "strategy, mail and media production." Konkus didn't respond to requests for comment Monday. His boss said he followed proper procedure. Liz Bowman, EPA's associate administrator for public affairs, said, "As the letter states, EPA career ethics approvals have reviewed and approved these opportunities." Federal regulations would still limit Konkus from receiving more than $27,765 from outside clients in 2017, according to the letter. His taxpayer-funded salary for his full-time position at the EPA is about $145,000 annually. Prior to joining the Trump administration, Konkus worked as an executive vice president for Jamestown Associates, a political consulting firm. According to the firm's website last year, Konkus "worked on the ground tirelessly to help President Trump win Florida." Konkus also served two years as chief of staff to former Florida Lt. Gov. Jennifer Carroll. A Republican, Carroll was forced to resign in 2013 over consulting work she had previously done for a scam veteran's charity that state and federal prosecutors said laundered more than $300 million in proceeds from illegal gambling parlors. Since Konkus arrived in Washington in early 2017, his responsibilities have included reviewing and approving all EPA grants prior to being awarded to help ensure they "adhere to the policies and principles of the current administration," according to his online resume. The Washington Post reported in September that Konkus had been scrutinizing grant applications for mentions of climate change, which he reportedly referred to as "the double C-word." That's in line with statements by Pruitt, who as the administration's top environmental official has embraced a pro-fossil-fuel agenda while questioning climate science showing that global warming is primarily caused by man-made carbon emissions. House Democrats decried what they called the politicization of the EPA's grants-making process in a letter sent to Pruitt on Monday. "A political appointee cutting millions of dollars in funding to EPA grant recipients on what appears to be a politically motivated basis, while at the same time being authorized to serve as a paid media consultant to unnamed outside clients, raises serious concerns of potential conflicts of interest," said the letter. Signatories included Rep. Frank Pallone Jr. of New Jersey, the top Democrat on the Energy and Commerce Committee. The Democrats also demanded a list of all other EPA political appointees receiving outside compensation, as well as unredacted copies of the letters approving the outside work. The AP filed a public records request with EPA in August under the Freedom of Information Act, seeking copies of all ethics letters, agreements or waivers for Pruitt's team. So far, the agency has yet to release a single document. Along with the information about Konkus' side jobs, the House Democrats also got a copy of letter approving similar outside employment for Patrick Davis, another Trump political appointee working as a senior adviser for public engagement in the EPA's regional office in Denver. Like Konkus, Davis is a Republican political consultant who led Trump's presidential campaign in Colorado. According to a 2015 report by ProPublica, Davis was accused two years earlier of defrauding a conservative super PAC called Vote2ReduceDebt, which was funded by an elderly oil tycoon. The group collapsed after Davis allegedly paid nearly $3 million of the PAC's funds to organizations run by him or his close associates, according to the news report. Davis told the AP on Monday that the dispute involving Vote2Reduce Debt "was mitigated to a mutually agreed-upon, private, amicable conclusion." 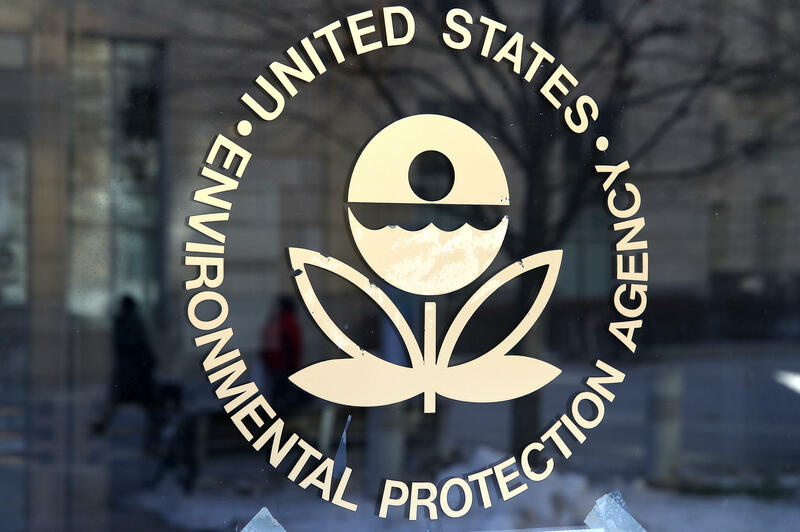 An EPA ethics lawyer in February 2017 approved of Davis receiving outside compensation for work as sales director for a company called Telephone Town Hall Meeting, which provides services such as robocalls to political campaigns and advocacy groups. The agency redacted how much Davis is to be paid for the agreement, but his outside compensation would also be capped at less than $28,000. Bowman said Davis' work for Telephone Town Hall Meeting is conducted on his own time and does not intersect with work for EPA. Environmentalists said Monday that the agency's lack of transparency about the private payments to EPA staff on the public's payroll raises concerns about whom they are really working for. "The American people already know that Scott Pruitt is working for corporate polluters and not for them, but the revelation that his staff is moonlighting for private clients while working at the EPA full-time brings suspicions of pay-to-play to a whole new level," said Melinda Pierce, the legislative director of the Sierra Club. "And if Konkus is not working for polluters directly, the public is forced to ask whether he is running a partisan political operation from within the agency instead."